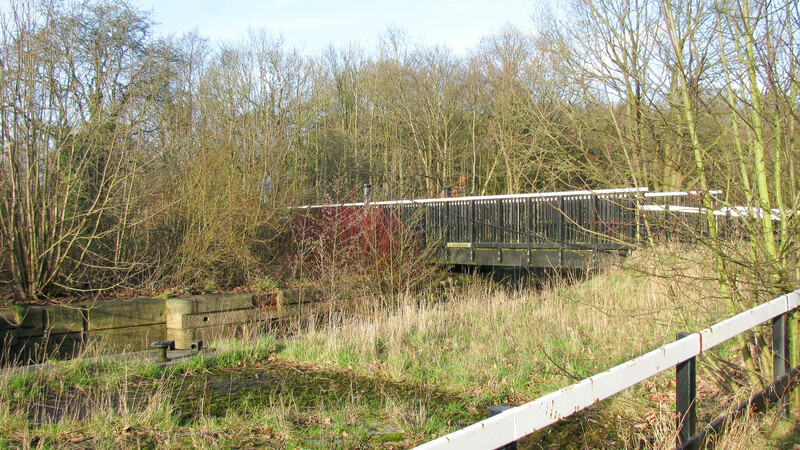 A modern swing bridge replaces the former swing bridge across Bewsey Lock. This is ready to swing once the vegetation is cleared and the lock is restored. It will have to be opened while the lock is in use, which means the main path of the Sankey Canal Trail which crosses the bridge will be interrupted for 10-15 minutes at a time.